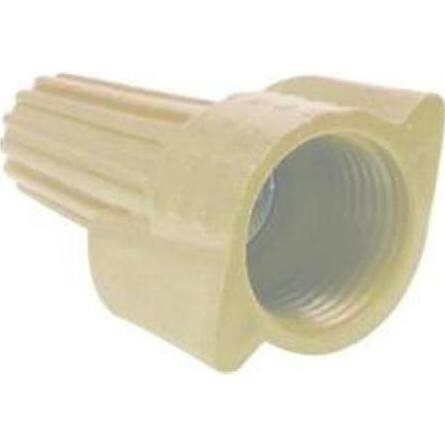 This wire connector is rated for a maximum of 600V and should only be used with solid and/or stranded copper building wire. It‰۪s ideal for use with wires in luminaries and signs.^^Proven Quality^You can count on this wire connector for durability and quality. It‰۪s UL-listed for pressure-type wire connectors. It also has a temperature rating of 105°C (221°F).